We are a multi-faceted group that focuses on market demands. Our success lies in our hands on approach, empowering of staff, customer satisfaction and partnering with companies who share our values and goals. that empower businesses to meet operational challenges in different industry sectors. The R-Group is a multi-faceted group of companies comprising of specialist divisions in electrical contracting, distribution, construction equipment hire and the supply of globally-sourced steel and alloy products. The mission of the R-Group is to be the most reliable and reputable brand leader in business solutions that focuses on meeting market demands and addressing business challenges experienced by our clients. It is through extensive expertise and experience and challenging conventional standards that the R-Group offers innovative and cost-effective solutions through each of its subsidiary companies. R Group’s mission is to provide business clients with innovative solutions that address diverse operational challenges. R Group aims to be the most reliable and reputable go-to brand in cost-effective solutions. The vision of each specialist subsidiary division of the R-Group is dedicated to being the industry leader in supplying the South African business environment with forward-thinking, market-oriented solutions that drive business growth. R Group’s extended business model incorporates a values-based approach in delivering smart business solutions. Core values embedded in the company’s culture are integrity, respect, resourcefulness, reliability, resilienc and building quality relationships. The R-Group is a fully diversified enterprise with a strong presence in multiple industries. Recharge Systems was established to address various safety challenges faced by small business owners. The goal is to supply ground-breaking Point-of-Sale (PoS) solutions that include prepaid distributions and electronic voucher vending equipment management.  R Crane & Plant Hire is the equipment hiring division of the R-Group that provides clients with convenient access to a varied range of construction-related requirements that include logistics and labour placement. R Technology focuses on minimising the risks of theft faced by small businesses, enabling them to transact quickly, safely and conveniently in real time. The supply of advanced software applications and efficient transaction-switching solutions empower businesses by allowing them to offer a world-class customer service experience.  R Distribution was developed from an innovative distribution channel formula that offers clients a competitive advantage by solving supply chain challenges and constraints. The R-Group’s Division of Distribution covers: onsite consignment stores, cutting and welding distribution, and tooling and fastener distribution. Another valued service offered is the supply and distribution of personal protective equipment. In addition to this, R Distribution offers clients a world-class hauling service. We address individual client needs by continually researching innovative methods to make transport and logistics more cost effective. This is a branch of R Crane & Plant Hire. R Steel and Alloy supplies an extensive inventory of globally sourced building materials. By forming strategic partnerships with reputable manufacturers, R Steel & Alloy supplies quality products at highly competitive prices. R Electrical is the electrical contracting division for commercial and industrial businesses that specifically target individual client objectives. This subsidiary’s specialty lies within industrial and commercial electrical infrastructure with service offerings comprising of: issuing of electrical compliance certificates, commercial and industrial wiring and power tool inspection (weekly or monthly).